To address this challenge and to provide a streamlined system for tracking and articulating both hard and soft return-on-investment (ROI) to the business in terms of cost savings and IT agility, Cloud Approach has developed the SONIC consulting services framework. SONIC is a business-driven approach offering a full suite of services from strategy through implementation. SONIC is a highly actionable framework that includes a full technical review coupled with a detailed analysis of your business and processes for all key services and information within scope. To allow you to experience the value of SONIC quickly, we offer HyperSONIC, a shortened version of the full SONIC process typically seven days or less in duration. During this period Cloud Approach consultants rapidly deliver overwhelming value in one or more areas of the SONIC framework and provide a clear prioritized action framework. This allows customers to immediately see the value the framework can bring and sets the stage for success going forward. 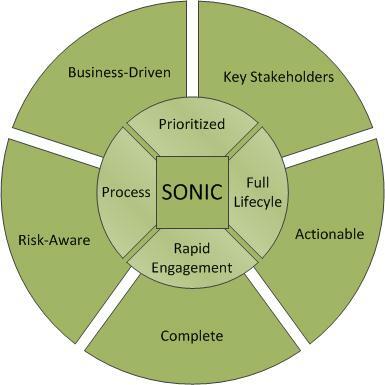 SONIC incorporates a multidimensional assessment, planning, and prioritization methodology embodying Cloud Approach knowledge and experience in strategy, security, and implementation. 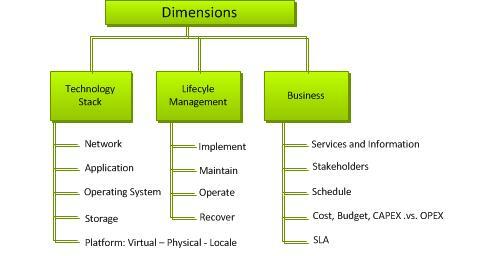 These dimensions are evaluated relative to your organization's full IT technology stack, lifecycle management process, and business environment including costs, benefits, relative weighting of CAPEX and OPEX expenditures in accordance with existing and projected budgets, one-time versus recurring costs, schedule, service-level agreements, and specific key stakeholder business concerns. SONIC provides highly structured prioritized recommendations and findings tailored specifically for each key stakeholder in your organization enabling you to gain buy-in and support from business owners, executives, IT management, and technical staff. SONIC provides a customized system including reusable toolsets matched to your organization for tracking and managing progress, costs, and ROI associated with your cloud and virtualization initiatives. An innovative and valuable feature of SONIC is the ability to export detailed and linked recommendations and findings to Office and XML formats allowing you to import the planning framework into existing project management, collaboration, and system management platforms. Working with your organization, Cloud Approach consultants and the SONIC framework combine to provide a powerful way to harness the tremendous opportunities offered by the cloud and virtualization while maintaining a controlled process, effectively and efficiently balancing risk and reward.